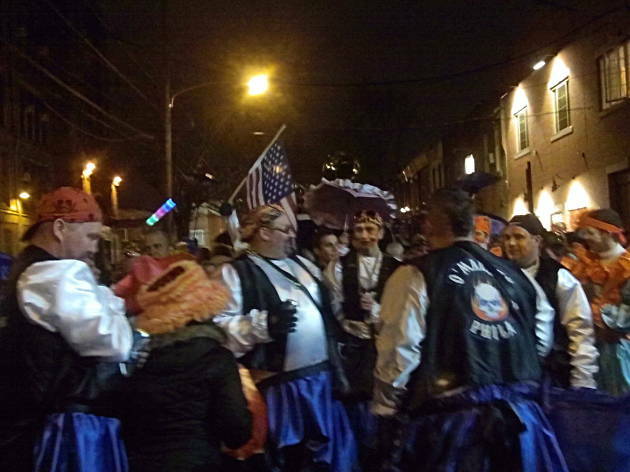 If rising early on New Year’s Day to see the mummers isn’t your cup of tea, this unofficial but long-running parade after-party is the next best thing. 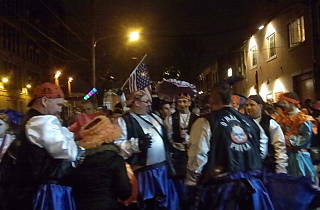 Starting around 7pm, mummers and rip-roaring locals crowd onto 2nd Street—nicknamed Two Street for this occasion—roughly between Wharton and Mifflin streets to party till late in the night. This, they say, is where the mummers really let loose, performing for the drunken crowd while partaking in a little sauce of their own. Be sure to BYOB and be prepare to be packed in like sardines with your fellow Philadelphians. This tiny street gets packed.